In any profession, you have to know the audience of the people you work with or serve. As educators, what do we really know about our current students, who are members of Generation Z? How can we use that as school leaders to promote effective instructional strategies to meet their learning needs? To know how to educate them, we have to understand how a Gen Zer is different from a millennial. They represent about 25 percent of our population. They are a group that was born in the era of smartphones, and those devices have become more robust with the passage of each year. According to this source, Generation Z has the following characteristics with regards to technology: Statistically speaking, compared to millennials, they spend more time on smartphones and less time on televisions than any other generation. They spend less time on Facebook but more time on Instagram, Twitter, and YouTube. They are independent, a result of the fact that any of their Gen Xer parents were turned off by “helicopter” parents from their childhood days. They have an understanding and empathy for global issues that sets them apart from millennials. “Most Z’s have grown up since 9/11 and have only known a world where terrorist attacks are the norm. Additionally, they’ve lived through the Great Recession, and they’ve seen their parents, or many of their friends’ parents, struggle through job losses, foreclosures, and more,” writes Mark Moring. Their upbringing, as a whole, have instilled in them the drive to want to make a difference. They believe in justice, and they look for opportunities to give back and be part of a change process to make things better. Knowing all of this, how can we leverage this knowledge as educators to personalize instruction to meet the needs of our Generation Z students? Pearson may have a solution. 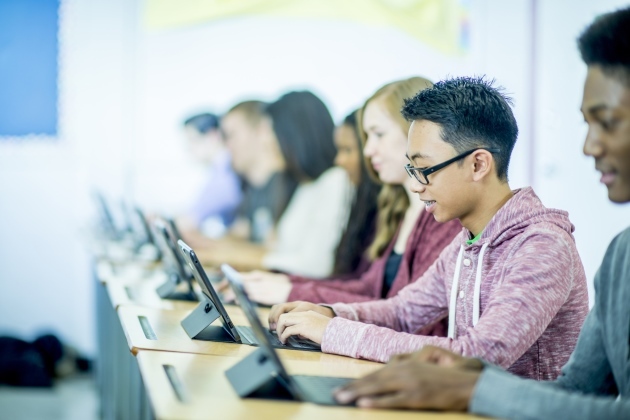 In a recent announcement, the educational corporation indicates that new research finds YouTube and other videos drive Generation Z learning preferences. As a parent, I shouldn’t be surprised. My teen spent quite a bit of his time this summer "fixing" lawn tractors and small engines for family members — and YouTube was his learning tool of choice. I can’t argue with his choice, because my tractor was one of the ones he fixed! A recent EdWeek blog expanded on Pearson’s announcement. The blog conducted an interview with Peter Broad, YouTube’s director of global research and insights. Broad stated, "Generation Z age group has a specific brand relationship with YouTube. When younger learners are looking for answers, they're going to the most straightforward, familiar force, and for them that's YouTube." The Google-owned video-sharing website is full of explainers, tutorials, and other content that is short and easily digestible. "For younger learners who have grown up with technology, it's all about efficiency and using any resource they can get their hands on easily. They want to learn as quickly as possible. Their assumption is that [the answers they need] will be available to them." A number of my teachers have started to pull together playlists of videos for students to use either as a replacement for, or an enhancement to instruction. They make some of the videos, but also draw from ones they find on sites such as YouTube. This may be one way teachers can respond to the needs of the Generation Z student.